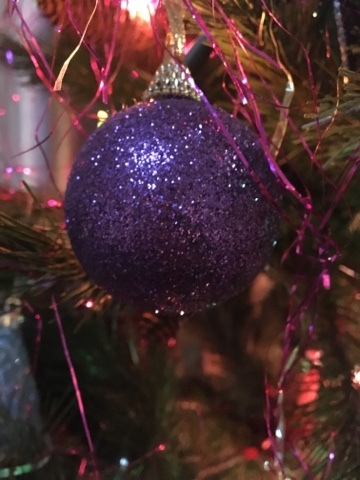 Blogmas Day Twenty One: 10 Things I Love About Christmas! It's pretty obvious that Christmas is my favourite time of year, here are a few of the reasons why! 1. The decorations! I'm a bit of a magpie so when December comes around and suddenly everything is sparkly, I'm in my element. 2. The songs, they may be cheesy, and predominantly from the 80s but they're catchy and I love them. 3. The films! Elf, The Grinch, Muppet's Christmas Carol... You name it, I guarantee I love it! 4. The calendar(s)! This year I may (definitely) have 3 calendars - but hey, it's the only time of year when chocolate at breakfast is acceptable so I'm making the most of it! 5. The jumpers! Christmas is the only time of year when a wacky jumper is an acceptable fashion choice and I love it! 6. The Christmas specials - even the reruns of episodes from years ago! And yes, I am one of those people who watches all of the soaps on Christmas Day! 8. The lights. Personally, I think streets and shopping centres should be decked out with fairy lights all year long - it looks so much nicer! 9. Christmas trees - we put ours up at the earliest possible date so we could enjoy it for as long as possible! 10. The candles, they smell amazing, what's not to love?